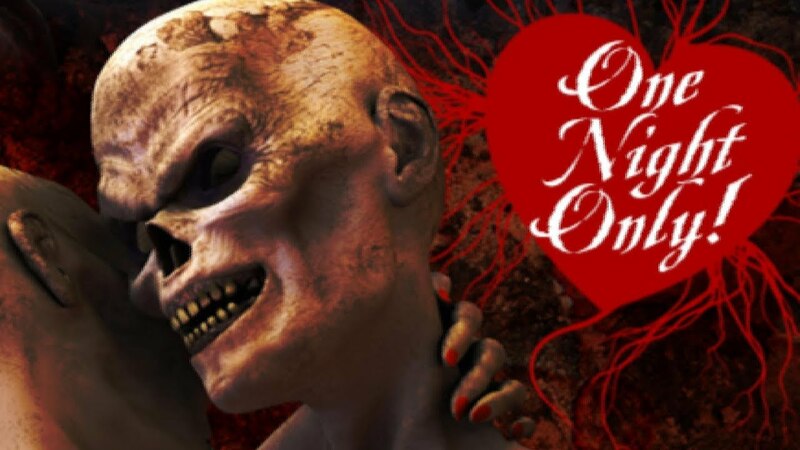 I know some haunts open for off season events like Valentine's Day for example. Anyone who has ever visited a Valentine's Day showbor does one yourselves, what do you do to change up your show to make it themed? I know it's not worth spending huge money on investing in a major overhaul so what did you see or do to make it feel different? It's not too early to start planning whatever you do. Like we say around here, "the early worm gets the corpse..."
That's why I'm asking here for planning for the future. We make quite a few changes for both our Krampus and Valentine X shows. More set changes for Krampus, we try to decorate every scene somewhat. Also lots of special costumes: elves, Jack Frost, Krampus, etc. We relight our facade and do a special photo op. For Valentine X we pretty much just decorate the facade and queue. We see that as more of a just go on a date to a haunted house for Valentines Day type event. We do try to throw in some sort of a twist, though. Last year guests were given a valentines cookie and told to find the character it was cut from. Then several characters had missing skin, but only one in the right shape. Thank you Brett. So on Valentine's Day events the guestsvidnt expecting much of a change to the show,?judt looking st it as a date thing? Have you been happy with your attendance on your special event nights? Do you msrket it heavily? Last edited by Deathwing; 11-20-2017, 04:56 PM. This is our first Krampus event coming up. We were happy with Valentines Day last year, yes. Ok sounds good. Good luck with both this year and thanks for your insight. We're planning our 2nd V-Day haunt for 2018, 2017 did alright so we're gonna try it again. I was initially concerned about not going " over the top" but folks seemed ok with it being mostly dark, little to no animations running. We did it pretty light but we added heart shaped boxes, messages written by our serial killer bride ( easy to put up/easy to tear down) used led candles, guests were given one dim light source to make their way through. Used some scratchy love songs for background. This year we're doing a diff theme, Cult of Freakz. We'll incorporate love into the theme but that's about it as far as a holiday connection. What else does everyone do for Valentines Day? We're going to open this year. How does everyone market their events? Should you special advertisements or change your website? Yes we're doing it. We're going to be shooting a promo video for it next week. I'll share when its done. Making this shirt for our event! We're going to shoot a promo for Valentines Day but we threw this together for now. FYI... we're going to launch a Valentines Day, Christmas website and anyone using Fear Ticket can use all of our digital and websites FREE!